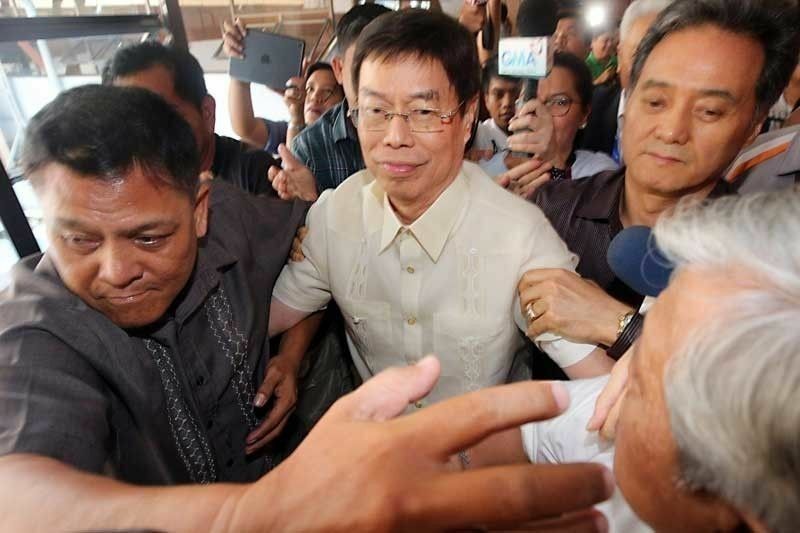 The Department of Justice (DOJ) has found probable cause to press criminal charges against businessman Peter Lim for allegedly conspiring to commit illegal drug trading with suspected drug lord Kerwin Espinosa and others. The indictment of Lim, who was separately investigated upon his request, follows that of Espinosa, convicted drug lord Peter Co, his aide Marcelo Adorco, Ruel Malindangan, and Lovely Impal, who have been charged with the same offense before a Makati court. Two counts of violation of Section 26(b) - conspiracy - in relation to Section 5 - sale, trading administration, etc of dangerous drugs - of Article II of the Comprehensive Dangerous Drugs Act of 2002 were filed against him Friday morning at the Makati Regional Trial Court. The case involved two alleged transactions at a Makati mall and excluded those in Thailand, where the DOJ has no jurisdiction, said Senior Assistant State Prosecutor Juan Pedro Navera. In deciding to indict the businessman, a panel of DOJ prosecutors led by Navera deemed sufficient Espinosa's admission before the Senate and Adorco's positive identification of Lim as one of the former's drug suppliers, the DOJ announced. A panel of DOJ prosecutors deemed sufficient Espinosa's admission before the Senate and Adorco's positive identification of Lim as one of the former's drug suppliers to include him in the charge for conspiracy to commit drug trading, the DOJ announced Friday. State prosecutors likewise found Lim's defense that he is not the "alias Jaguar" referred to "immaterial" given his identification by Espinosa and Adorco, the DOJ said in a statement. "Furthermore, his alibi that he could not have possibly been in Thailand during the time attested by Adorco has to yield to the positive and affirmative statements of said witness," the prosecutors said. They likewise reiterated an earlier assertion that conspiracy to commit illegal drug trading is a distinct offense under the Comprehensive Dangerous Drugs Act of 2002, or Republic Act No. 9165. "The agreement to trade in drugs is the gravamen" of this offense, the prosecutors said. "The drug themselves as corpus delicti of drug trading are not essential under Section 26(b) of the law."